Want perfectly shaped brows that won’t fade? 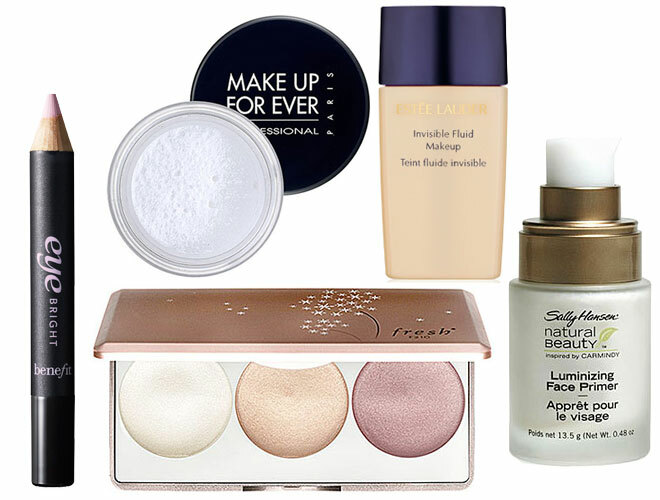 A glowy complexion that looks as good at 5PM as it did when you first left the house? It takes more than just one product to make your statement look lovely and long-lasting. In fact, five seems to be the magic number for achieving a long-wearing look. Dior Diorshow Brow Styler Ultra-Fine Precision Brow Pencil ($29, sephora.com); Tweezerman Brow Shaping Scissors and Brush ($18, tweezerman.com); Blinc Eyebrow Mousse ($24, soap.com); Tweezerman Pointed Tweezer ($22, tweezerman.com). 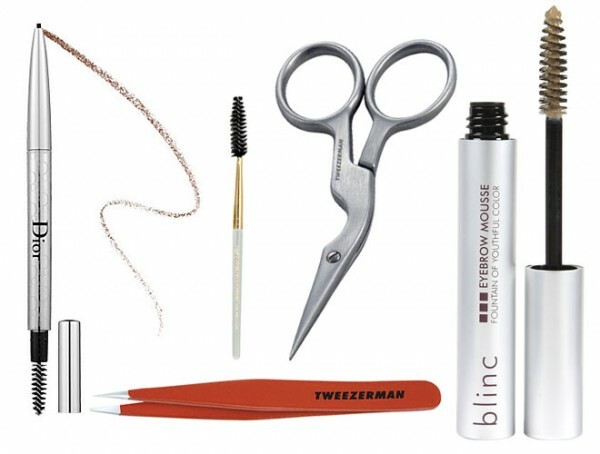 If a perfect brow is what you’re after, you’ll need five key tools: Tweezers, cuticle scissors, a spooly brush, brow corrector in the form of a pencil, pen or powder and a little brow mousse. Start off by brushing the brows straight up with your spooly brush and snipping any strays that rise above the brow line. Next, use tweezers such as the Tweezerman Pointed Tweezer to pluck any strays hairs and shape brows into submission. Use a brow corrector product like the Dior Diorshow Brow Styler Ultra-Fine Precision Brow Pencil to fill in any sparse areas. Finish with a touch of the mousse to keep them in place all day. Benefit Eye Bright ($20, benefitcosmetics.com); Make Up For Ever HD Microfinish Powder ($32, sephora.com); Estée Lauder Invisible Fluid Makeup ($35, esteelauder.com); Sally Hansen Natural Beauty Inspired By Carmindy Luminizing Face Primer ($9.99, cvs.com); Fresh Satin Luster Face Palette ($45, sephora.com). For a glowy, healthy complexion the top five products are face primer, liquid foundation, under eye concealer, cream highlighter and face powder. Begin by smoothing on a face primer such as Sally Hansen Natural Beauty Inspired By Carmindy Luminizing Face Primer. This will even out the skin’s texture and create a glow from within. Next, apply a liquid foundation all over the skin, including the eyelids and under the lower lash line. Buff into your hairline and slightly down the neck so you don’t get a line of demarcation. Now dab a little under eye concealer like Benefit’s Eye Bright on dark circles. Next, Carmindize the face with Fresh Satin Luster Face Palette, dabbing on the cream under the brows, on the inner corners of the eyes and on the tops of the cheekbones. Finish by dusting on a sheer, loose translucent powder for a superior finish. Nars Lip Liner Pencil in Jungle Red ($22, narscosmetics.com); Nars Semi-Matte Lipstick in Jungle Red ($24, narscosmetics.com); Sephora Smoothing Translucent Setting Powder ($16, sephora.com); Yves Saint Laurent Touche Éclat ($40, nordstrom.com); Bliss Fabulips Sugar Lip Scrub ($18, blissworld.com). The big five in creating a red lip that lasts are a lip scrub, highlighter, lip liner, lipstick and powder. Start off by exfoliating the lips while you’re in the shower, using a little bit of white sugar and a wet hand towel. Lightly buff the lips so they’ll be smooth and ready for application later. When you’re ready to apply lip color, first rim the outside lip line with a cream highlighter to create a fuller looking pout. Now line and fill in lips with a red pencil matching your lip color. Apply matching lipstick and blot with a tissue. 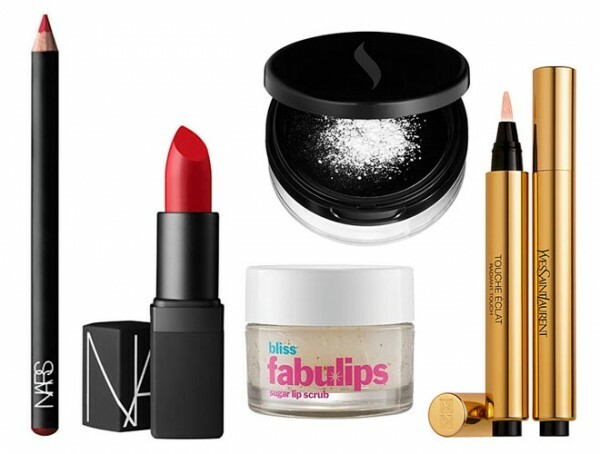 Add a very light dusting of powder to the lips, then swipe on the lipstick one more time. This application will keep lips red and ready for as long as you’re out and about. Do you have a trick for helping your makeup stick around?